Get the premium driver manager – Driver Magician for today only! 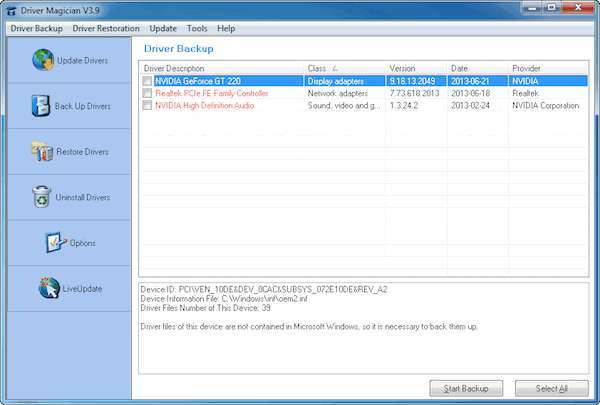 This tool offers a professional solution for device drivers backup, restoration, update and removal on Windows operating system. Driver Magician identifies all the hardware in the system, extracts their associated drivers from the hard disk and backs them up to a location which you choose. Then when you format and reinstall/upgrade your operating system, you can restore all the “saved” drivers just as if you had the original driver diskettes in your hands. After one system reboot, your PC will be loaded and running with the required hardware drivers. Driver Magician works on Windows 98/ ME/ 2000/ XP/ Server 2003/ Vista/ 7/ 8/ 8.1. Visit the giveaway page to get the software for FREE!